Continuous learning and improvement in every area of our work is essential for us. Every member of our team has an educational time and budget to spend on conferences, workshops, trainings etc. 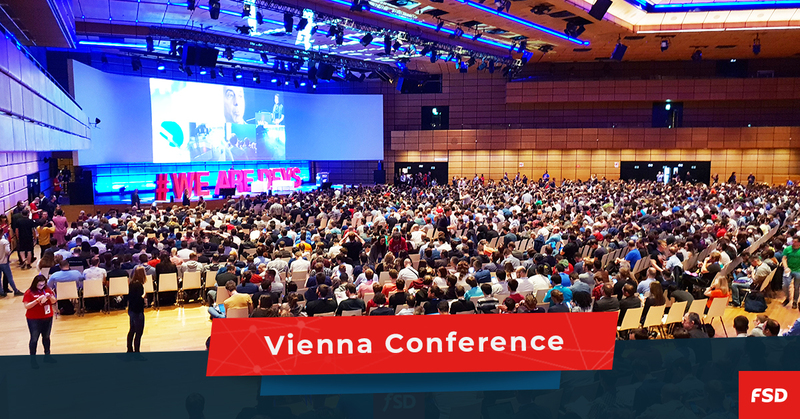 A couple of our colleagues decided to spend some of that time at WeAreDevelopers World Congress 2018 in Vienna. This year, the conference gathered more than 8000 attendees in three days, which made it the largest event for developers in Europe. It had 10 stages and more than 250 world-famous speakers such as Steve Wozniak (Co-founder of Apple), Joseph Sirosh (Corporate Vice President, AI & Research of Microsoft) and Angie Jones (Senior Automation Engineer at Twitter). The event brought together developers from 70 different states with some of the biggest tech companies of today such as Google, Facebook, Microsoft and IBM. Developers, software engineers and decision-makers joined the conference in order to share knowledge and experiences, connect and gain new tech insights. Some of the most discussed topics during the lectures were server-side technologies, AI, IoT, reactive web, machine learning, QA and security. Workshops and hackathons were also focused on various topics, such as AI, security, Blockchain, IoT or Virtual Reality.